Many decisions are made at the president’s desk, but the major political party to which he or she belongs wields significant power over which domestic and international policies are advanced and what becomes law. 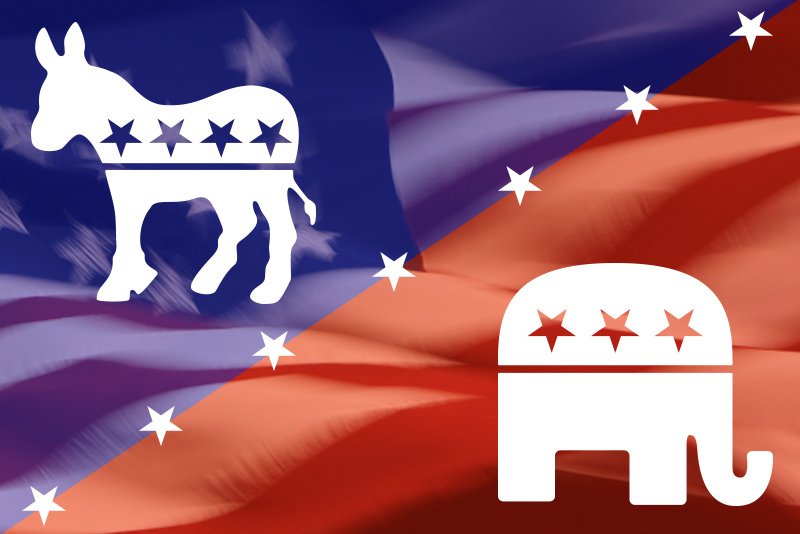 Here is a summary of the Democratic and Republican party positions on some of the vital issues facing the country. As Franklin Graham has stated clearly many times, we are not endorsing any candidate or party. Democrats seek to repeal the 1976 Hyde Amendment so that federal funds can be used to pay for abortions. The platform says, “We will continue to stand up to Republican efforts to defund Planned Parenthood health centers.” Democrats support ratification of UN efforts that affirm “the reproductive rights of women” globally. The GOP asserts the sanctity of human life and affirms, “The unborn child has a fundamental right to life which cannot be infringed.” The party supports a Human Life Amendment making clear that the 14th Amendment’s protections apply to children before birth, and it salutes states that require informed consent, parental consent, waiting periods and clinic regulation. The GOP platform condemns the Supreme Court’s rulings that removed the ability of Congress and the people to define marriage as the union of one man and one woman. The GOP urges the reversal of those decisions, whether through judicial reconsideration or a constitutional amendment. The Democratic platform says: “We support a progressive vision of religious freedom that respects pluralism and rejects the misuse of religion to discriminate.” The party opposes a religious test to bar immigrants or refugees from entering the country. Republicans affirm that religious freedom in the Bill of Rights protects the right of the people to practice their faith in their everyday lives. The platform endorses the First Amendment Defense Act, which would protect faith-based institutions and individuals from government discrimination. The GOP platform states: “A critical threat to our country’s constitutional order is an activist judiciary that usurps powers properly reserved to the people through other branches of government.” The GOP supports the appointment of justices and judges who respect the constitutional limits on their power and respect the authority of the states. The Republican platform favors building and maintaining a strong military as the path to peace and security. The party seeks to restore the nation’s military might and to rebuild troop numbers. The GOP would abandon treaties that benefit adversaries and would modernize the U.S. nuclear arsenal. The Democratic platform uses firm language to say we “must defeat” global terrorism, though noting a preference for “diplomacy and development, to confront global threats and ensure war is a last resort.” The party favors improving international intelligence capabilities to defend against external and homegrown threats. The GOP asserts that the Iran deal does not have treaty status and has only emboldened the regime in Tehran in sponsoring terrorism. The platform says, “We must stand up for our friends, challenge our foes, and destroy ISIS.” It calls for governmental aid to Christian communities under genocidal attack in cities like Erbil. The GOP platform states: “To those who stand in the darkness of tyranny, America has always been a beacon of hope, and so it must remain.” The party seeks a radical rethinking of our human rights diplomacy, adopting a “whole of government” approach in which human rights issues are integrated at every appropriate level of our relationships with other nations. The party platform denounces Donald Trump’s suggested ban on immigrants from countries (mostly Muslim) known to train and equip terrorists. The Democratic platform seeks to abolish the death penalty, “which has proven to be a cruel and unusual form of punishment. It has no place in the United States of America.” The party would reform mandatory minimum sentences, close private prisons, end racial profiling and train officers in de-escalation. The GOP decries the creation of new “crimes” by unelected civil servants and political appointees and sees this as federal overreach. The platform emphasizes restorative justice, including guidance by faith-based institutions. It notes that the death penalty is firmly settled by the Fifth Amendment and opposes efforts to erode this right. Republicans express “unequivocal support for Israel,” pointing out that it is the only Middle Eastern country with freedom of speech and freedom of religion. The GOP recognizes “Jerusalem as the eternal and indivisible capital of the Jewish state.” The party opposes the U.N.’s treatment of Israel as a pariah state.